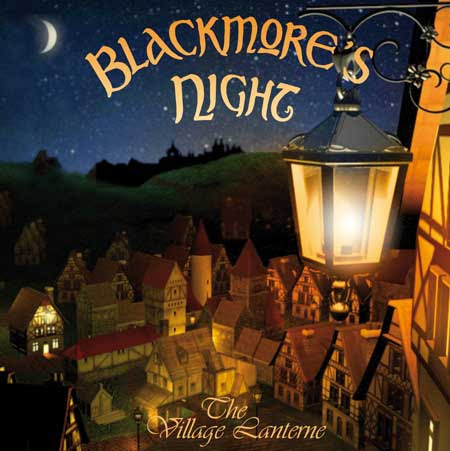 What is a Blackmore's Night? It's June and it's basically over, so I need go out with a bang! What says bang more than Renaissance music, right? ~sound of record needle scratching~ Renaissance Music? But...but...but, how is that the bang to end the month of June on, Cindy? I mean a bang and I am going to give you a bang. Ever here of Ritchie Blackmore? SONG! 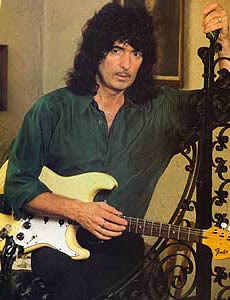 You might be familiar with this Ritchie Blackmore, who was (and still will be) a member of Deep Purple from 1969 thru 1993 (off and on again), before he went onto form Rainbow (his post Deep Purple band) from 1975 to about 1997, which lead to the reason for this blog, Blackmore's Night a (quoting Wikipedia here) "Celtic, Folk, Neo-Mediaeval" band created circa 1997 to the present. Their newest album "Dancer and the Moon" was released this month. 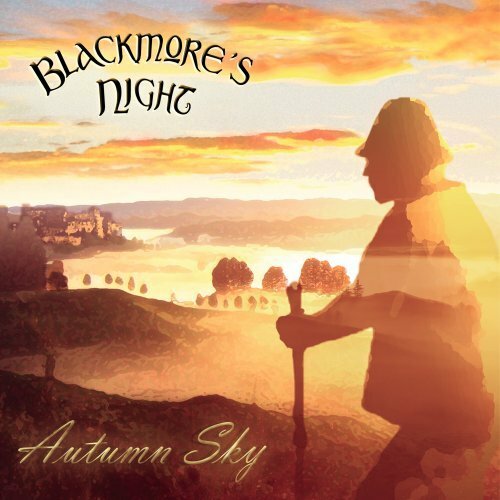 Blackmore's Night is more than a Celtic band, more than a Folk band, it's more than anything I have run across in my musical travels. I prefer to call them Renaissance Rock, as they certainly know how to rock and many of their songs in their repertoire are based on Renaissance songs, or at least depicts the feel of the Renaissance (without the Black Plague and the rats, which is more Middle ages, but many people will understand picture I am trying to paint). Basically if you go to a Renaissance Festival, that is the world that Blackmore's Night creates; frolicking with the fields, dancing under the moon, or enjoying nature. It's also very Paganistic in nature and quite popular with Witches, Wiccans, and Heathens. It is not limited by any one group of people, there is something for everyone with the scope of Blackmore's Night. 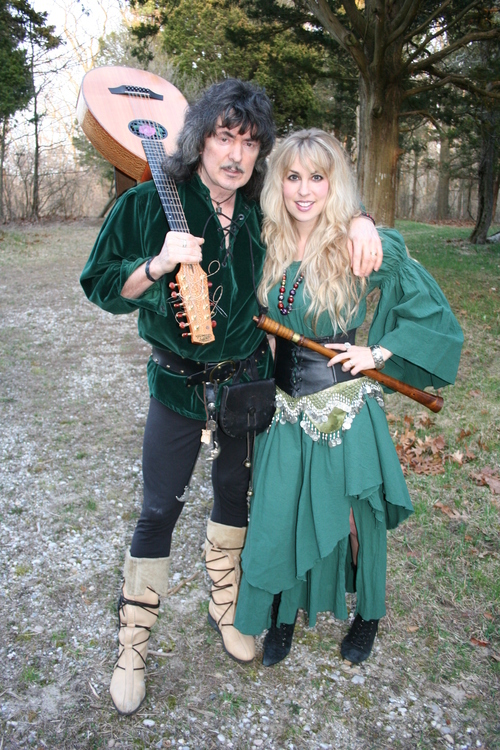 Blackmore's Night is made up of a husband and wife team, Ritchie and Candice (Night) Blackmore, whom met at a Rainbow concert in the 80's. 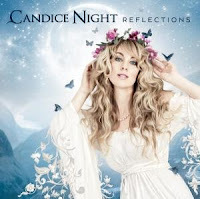 Candice Night was a Rainbow fan and at a concert in 1989 and got to meet Ritchie (to get an autograph) and ended up formed a friendship that has spanned an over twenty year friendship. Both had a deep love for Renaissance music and that was the basis for what Blackmore's Night became. Where Deep Purple was a rock band and Rainbow seemed to become something more poetically lyrical, with a rock edge, BLackmore's Night was something more. 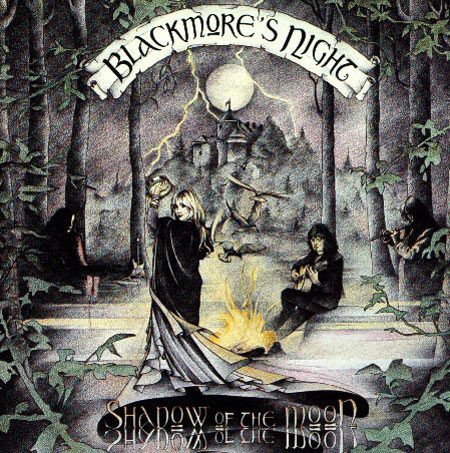 By the time of Blackmore's Night some would have thought that Blackmore had done a 180 degree turn with the band's debut album in 1997, "Shadow of the Moon." It is vastly different, but I do want to point out that Blackmore and Night have transformed this genre into something quite respectable. Okay, that my opinion, but it seems very true nonetheless, as their popularity has grown. 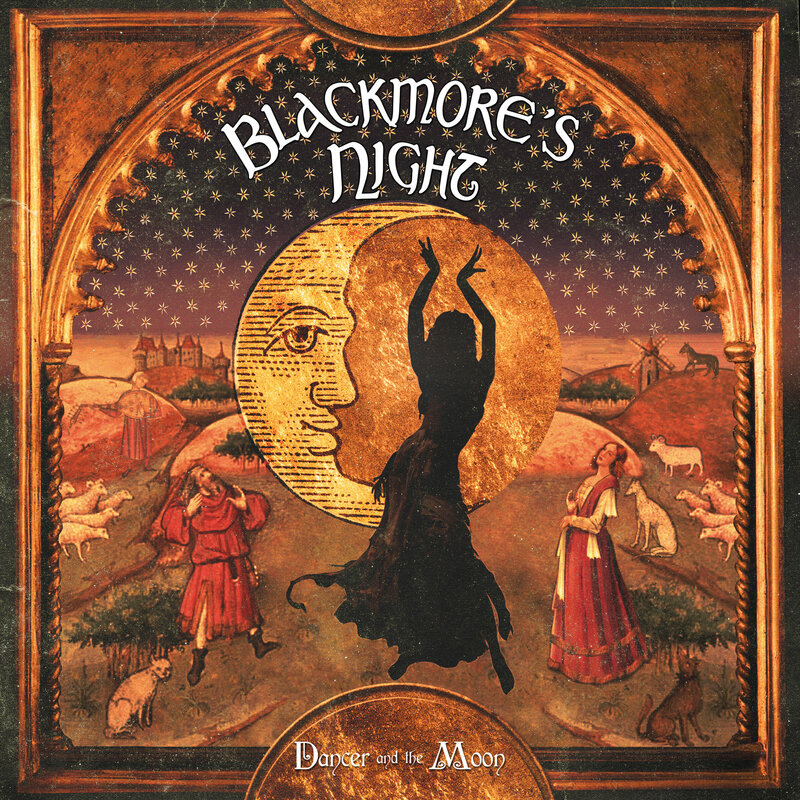 While the beginnings on Blackmore's Night feels more like a Renaissance Faire act, their later endevours are quite the magical, musical masterpiece that exists now. 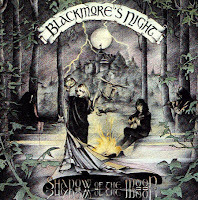 I was introduced to Blackmore's Night in 1999 by my best friend at the time, Kerry, who came to visit me at college one weekend. She brought a couple of CD's that she thought I would be interested in, this included Mediaeval Babes (for another blog, another time) and a couple of Blackmore's Night's albums, "Shadow of the Moon" and "Under a Violet Moon". My boyfriend at the time (now husband, David) was kind enough to make me copies (back before all this copyright crap and when CD burners cost almost 200.00). I tell you this, I was in love! The combination of the lyrics that flowed like poetry, Candice's amazing vocals, and the my deep love for anything and everyone Renaissance based, it was match made in heaven. Candice writes most of the songs, her lyrics are striking and beautiful. Many of the songs are story based songs (which are songs that I love), simply because of that reason. 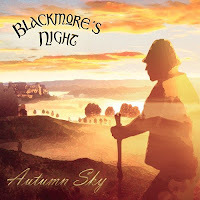 Not of the songs are of original, Blackmore's pulls a number of traditional songs that range from the 10th century to modern rock ballads from many of Ritchie's former and current colleagues. They have covered everything from Greensleeves, a folk ballad written about 1580, near as one can tell from records at the London Stationer's Company (the place to publish music back in the 15th and 16th century), Rainbow songs such as Self-Portrait, to Elvis Presley, Jethro Tull, Joan Osborne, The Kinks, and now Randy Newman to name a few. Also, Ritchie, who composes all the music, has 3 or 4 short instrumental tracks on each album. So each album usually has quite the collection of material on it. 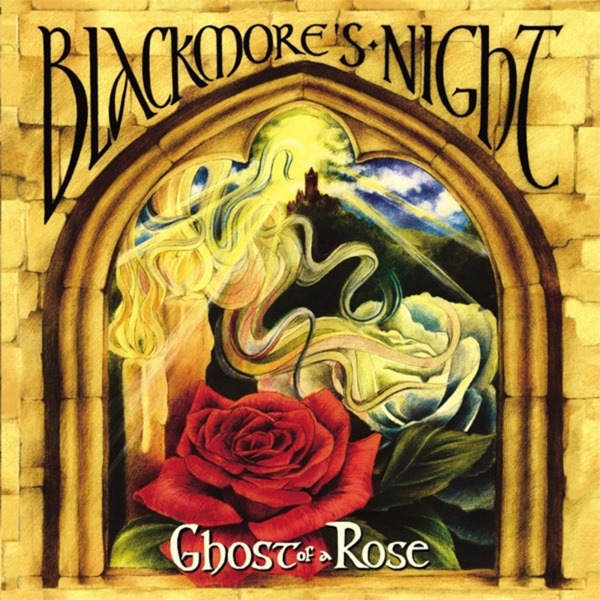 Not to exclude the band, so what can I say about Blackmore's Night band? They are as eclectic as Ritchie and Candice are and that makes them a perfect fit. Over the years the members have changed, much in the same way as Deep Purple and Rainbow (I see a theme here), it has not diminished the music at all. I think in many way the different band members over the years has been liken to a changing of the guard (s), they all serve the greater purpose, to make amazing music! 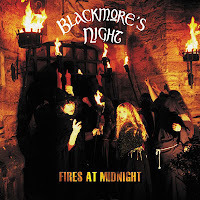 Okay, it's recommendation time, if you are interested in Blackmore's Night, but prefer the edgier rock sound and the awesome guitar playing of Mr. Blackmore, I would say that you start with 2001's "Fires at Midnight", it's more of what you would expect from Rainbow, not quite Deep Purple. Now with that being said, I am quite fond of the Minstrel folk sounds that they started off with and would recommend their first to albums 1997's "Shadow of the Moon" and 1999's "Under a Violet Moon". "Under a Violet Moon" is my person favourite. "Shadow of the Moon" (1997): It's an early album. They are clearly testing the waters but the are some amazing songs here. Incidentally, the song "Wish You Were Here" is a cover of a cover by the Swedish techno/bluegrass group Rednex, and yes you have that song stuck in your head now. Blackmore's Night's cover is WAY better, in my opinion at least, but hey, at least it's different, right? 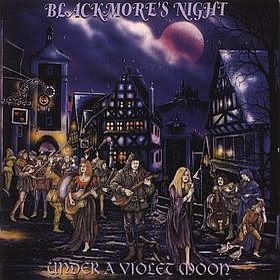 "Under a Violet Moon" (1999): I feel this is the quintessential minstrel sound of Blackmore's Night. I could cite that I love every single song, and it would be true, but I am sticking with a 4 song limit. Covers include: Self-Portrait (a Rainbow song). The lead male vocal on "Wind in the Willows" in Jon Lord one of the founding members of Deep Purple. "Fires at Midnight" (2001): Here is where the rock claws come out. 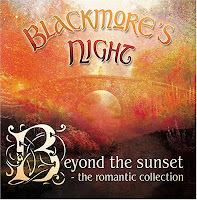 Blackmore hits his stride and Candice's vocals have come into their own. Covers include: Bob Dylan's "The Times They are a Changin'". The lyrics here have evolved from college era poetry (not that that's a slam) to truly something to be published in poetry anthologies, such as "I Still Remember" or "Hangin' Tree" which is basically tied with "Benzai-Ten" on this list. Fires at Midnight is a song written by King Alfonso the X (10th). "Ghost of a Rose" (2003): There are a lot of story songs on this album and I have a really hard time picking the 4 for this one. This is probably my second favourite album. There are some haunting melodies here and some of Candice's best lyrics and singing. Covers include: Rainbow Blues from Jethro Tull and Joan Baez's "Diamonds and Rust". 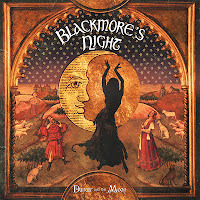 I would say that if you are seriously looking into Blackmore's Night, this album is a key one to test drive. "Lorelay" is a song about the lonely mermaid, river queen. Dandelion Wine and Ivory Tower are other great tracks. If it means anything, I always think of the Ivory Tower from the "Never-Ending Story", not sure if it's connected, it's just a really lovely song. 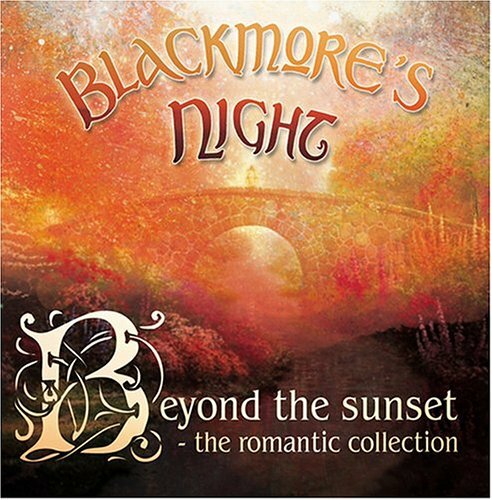 Beyond the Sunset (2004): A compilation of love songs and features a few re-recorded versions of some songs and a previously unreleased track. "The Village Lanterne" (2006): Ritchie and Candice brought more of the old gang on this album, mostly Joe Lynn Turner from Rainbow. Here they cover Rainbow and Deep Purple, "Street of Dreams" and "Child in Time". It's a darker album and utilizes more Eastern European influences in their music, from using a Balkan folk song "25 Years". A more mature album to say the least and one that I need to revisit more often. They also cover St. Theresa by Joan Osborne (of "One of Us" fame). 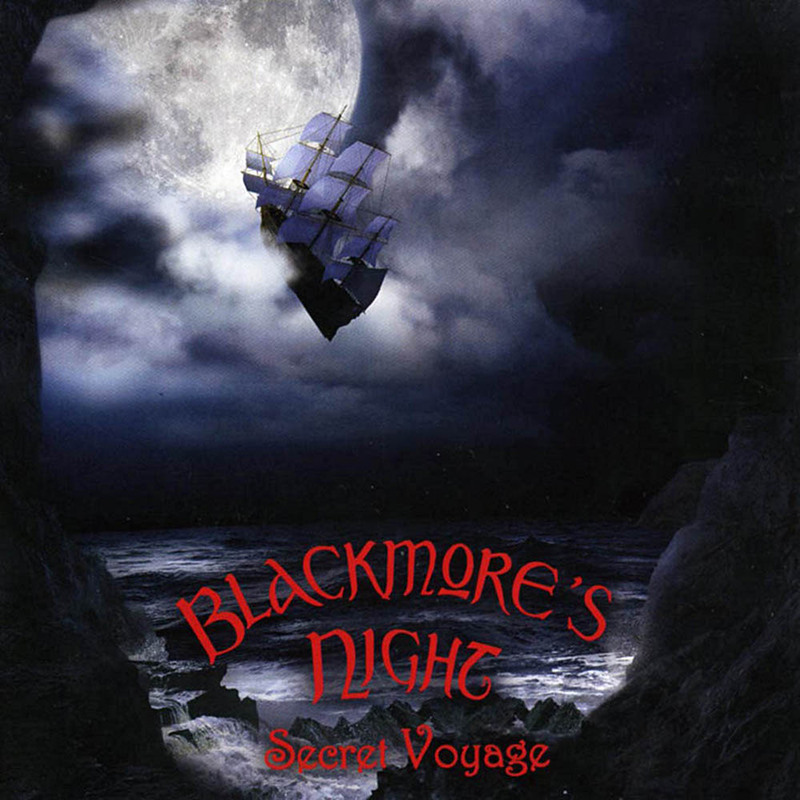 "Secret Voyage" (2008): I think that by now Ritchie is used to pulling out some of the old material from Rainbow and Deep Purple and re-tooling it for Blackmore's Night. 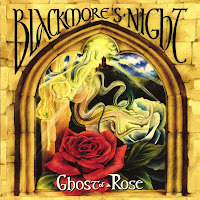 NOTE: Blackmore's Night use many musical instruments from a forgotten time that range from the Hurdy Gurdy, Rauschpfeife, Cornamuse, Domra, some from the Renaissance others from the 1800's. This works to their benefit, as now they are introducing a whole new group of fans to Rainbow's repertoire and making the songs new and fresh. Covers include: "Rainbow Eyes" (Rainbow) and Elvis Presley's "Can't Help Falling in Love." I feel as though "Secret Voyage" is a return to the minstrel feel of their earlier work while still keeping the rock. "Autumn Sky" (2011): Where "Secret Voyage" leads us into a familiar feeling, "Autumn Sky" transports us into another world. Here we have the minstrel sounds that Blackmore's Night started out, but with the catch is that they have matured much and it shows. The playful lyrics of Candice are more refined and the her voice has matured. This album came out after their first child Autumn was before and it's clear from the album as a whole is a return to innocence. Covers include: "Celluloid Heroes" is probably the odd one out, as it is a cover of The Kinks version, but their own unique spin on the song is no less valid. "Dancer and the Moon" (2013): I have just received this album and it's still very new to me, but I will say that what I have heard in the last 3 or 4 days of preview it, Candice's voice has once against matured and she has made something amazing with Ritchie. Covers include: Rainbow's ("The Temple of the King"), Uriah Heep's ("Lady in Black"), and Randy Newman. Whew! That's 8 studio albums in 26 years, that includes 2 live albums ("Pass Times with Good Company" and "A Night in York") 2 concert DVD/CD's ("Castles and Dreams" and "Paris Moon", and a Christmas Album ("Winter Carols"). Quite the prolific group and that's not counting Ritchie's work with Rainbow or Deep Purple. I don't know why I do this to myself. I start off thinking that this is a good idea, and then WHAM 99 minutes later I am sitting in my living with David going, WHHHHHHHHHHHHHHHHHY? I guess it's the inherit English major in me. I like to compare and contrast to the detriment of my movie watching at times. 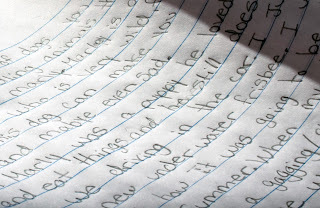 It gives me perspective to use my writing and intuitive skills in such a way. i know that might confuse some people, but I really enjoy it. I also don't tell people what they can or cannot watch. I know some folks who prefer the movie versions and that is fine. I just like to give a bit of perspective. 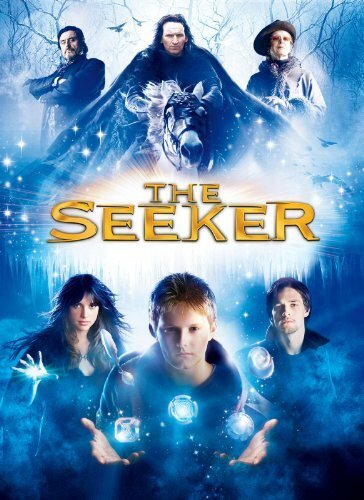 Now that the air is cleared, onward to "The Seeker" review. The movie was released in 2007 and is based on the book, "The Dark is Rising" by Susan Cooper, which is the second book of the "The Dark is Rising Sequence". I was introduced to this series when I was in Middle School by my local library. I was a library kid, meaning I spent my Saturdays in the library. I believe it was Yvonne who pointed me in the direction of "The Dark is Rising". I read all 4 books, devouring them like I was starving. It was a fascinating read filled with adventure and folklore. I should note that "Over Sea, Under Stone" is the actual first book in the series and it some ways not as crucial, but that is a matter of opinion. "The Dark is Rising" is the story of Will Stanton, the 7th son of a 7th son, who upon his 14th (11th in the book) birthday comes into his inheritance, that of the battle between the Light and the Dark. He is an Old One. A warrior of the Light that battles against the Dark and has to collect the 6 signs of power to battle the Dark. Upon the opening to the movie I am very aware of the number of semantic changes that was changed to the story. 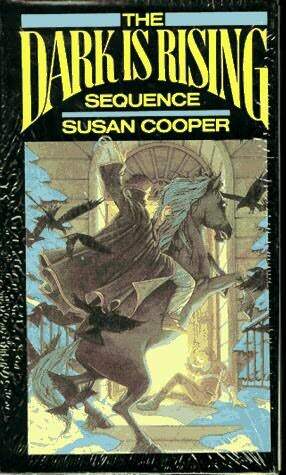 I can understand some change to a story that is being adapted for a movie, but what i cannot understand is why there was so much disregard for Susan Cooper's work. Instead of going through the WHOLE story which might take awhile, I will stick to the main points. First, there are extraneous plots written into the story, where previously none existed. 1. Forced Love Interest between Maggie and Will. Maggie, a real character is the book and tweaked for the movie in a quasi-half assed attempt at a relationship. The set up is that Will sees Maggie on the bus, but doesn't speak to her. She ends with Max, one of Will's older brothers, yet there is still that indication that Will and Maggie are destiny to be together. In the book, she is attracted to Max, while an agent of the dark, her role was much smaller in the book, that of a simple traitor that Merriman and Will discover while looking for the 6 signs of power. 2. Identical Twin subplot. Will is a twin! This he learns that he is actually a 7th son, where is believed before that he was the 6th son when Merriman, Miss. Greythorne, Mr. Dawson, and George reveal that Will is an Old One . By the end Will now has Tom (his twin brother) that he brings home. It is unnecessary and very distracting to to now have this extra character that was only slightly mentioned earlier in the movie- who didn't even exist in the book-who had been captured by the Rider and held prisoner for 14 years. 3. Merriman the Teacher. The use of Merriman as a teacher is all but left out of the movie. 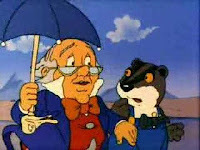 He was Will primary teacher in the book, but in the movie is more like a whiny partner that works with the other Old Ones: Miss Greythorne, Mr. Dawson, and George. 4. The 6th Sign is the Soul. This is kind of cliched and very over done. It's not even correct. The movie has 5 of the 6 signs as actual objects and the 6th is the soul of the Young Old One, Will Stanton. In the story there are 6 signs of power, each a different element that Will has to find: Wood, Bronze, Iron, Fire, Water, Stone. I find this very lazy and almost cheating in the storytelling. Also, in the movie, as Will find each of the signs there is no mention of which sign is found each time a sign is found. 5. Will's family never knew of the Old Ones. They never knew of the battle between the Light and the Dark. The movie makes Will's father a Professor of Physics who had originally wrote a paper of this VERY SAME PRINCIPLE. In the book, everything that happens to Will as an Old One happens in another time or place, with no other family present. The family is unaware that Will has any special powers or has this unique birth right. Of course there are times, in the book, when Will does things that don't always make sense, but it's written as if the world is blissfully unaware of the war commencing on their doorstep. 7. Set in Modern times. The movie is set in the 2000's where there are cell phones, skype, and all the major technological advances, while the original story is set in the 1970's and the Stanton's lived in a small town, where they grew their own vegetables and raised rabbits and chickens. The times were tough and they had to eke out a living on the father's meager earnings as a jeweler and what they could sell. This I can sort of understand, as the demographics for the movie are kids 10 to 16 (roughly) and if it's 2007, then maybe one needs to modernize it a tad. I am NOT fond of this change myself, but it's a lesser of the MANY evils that director, Marc Platt presents in his movie. Christopher Eccleston as the Dark Rider ensconced in feathers and furs. Now, with all that being said, I didn't completely hate this movie. I am glad that I only paid 3.50 for the crappy American DVD I brought. 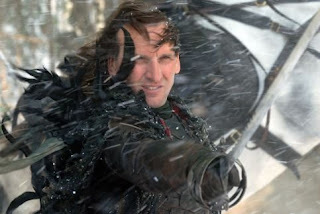 But, positively Christopher Eccleston, who plays the Dark Rider (who rides a WHITE horse, not correct) is probably the single best reason for this movie. His overacting and goofy persona were quite enjoyable as the Dark Rider, the force of the Dark trying to get the 6 signs of power from Will. I loved Christopher Eccleston! He was MY first doctor and will always hold a special place in my heart. As much as this movie got wrong, , Eccleston got it right (well sort of). I could and can count on Chris to make the Dark Rider all the more silly. He overacts the part, majorly, whether intention or not, I care not, he is FANTASTIC! Also, I will give credit to the screenwriter, there were a number of details that I wouldn't have thought that they would include, starting with the rooks in the trees to the family dogs noticing something is different with Will on his birthday. It's not much, when they massacred a wonderful fantasy novel that uses a lot of Celtic, Norse, and Arthurian Legend, you have to find something good about it. After all I did pay 3.50 for the DVD. 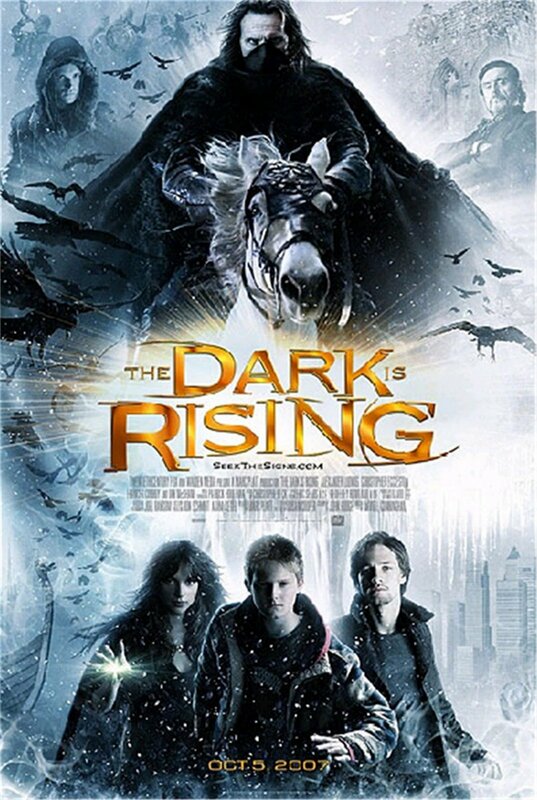 Note: The British release of this movie, titled as "The Dark is Rising" is an extended edition with bonus and deleted scenes and included the forgotten character, 'The Walker' from the book, not the movie, which I should add as number eight on the list. The Walker is a critical character to the plot, as he is a fallen character that is trying to redeem himself by baring on of the signs until the Seeker (as Will Stanton is called) comes to claim the sign. It's very heavy to The Walker, yet quite light for Will. The books are a different kind of story, but enjoyable ones. I recommend the whole "Dark is Rising Sequence" series to anyone who loves to read. As for the movie, well, I think anyone who like bad movies might enjoy it for the Christopher Eccleston performance. It might make for a decent riff project. I would watch that, cause I already had the DVD. My Support Sytem Online: Links Sunday! I don't do shout outs, but I do like giving credit to where credit is due. 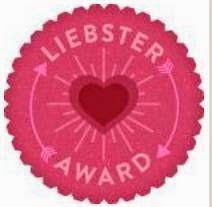 I have some VERY supportive friends and some great mentors. Today I want to tell you about them. Vicky is the first. My writer friend in Washington state. She has been a great resource and source of encouragement with my writing. She is currently writing her own fantasy series: The Destinies of Mirnth. She has a Facebook page as well: The Destinies of Mirnth Facebook. I have to saw that I am excited when these books are finished on an the shelves! Oh, yes, she is an AMAZING artist, whether its pencil or watercolours. Her website has some of her drawing for the series and a link to her blog page that has some of her work. James Owen is probably the coolest person you could have as a mentor. He's an amazing writer and daring soul that bares in all in his Meditations Trilogy. When he talks, you give him respect. The advise and encouragement he has given through his words has been priceless. I cannot thank him enough with helping me to see that my goals are reachable. 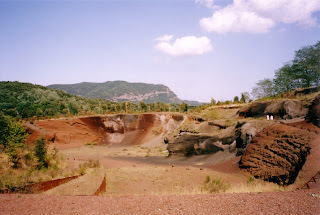 Check out his website: Coppervale International. He also has a Facebook page: James A. Owen. Carrie-Lee Touhey makes cookies, very yummy cookies!! Just recently she and her husband have open their own cookie shop in Hyannis, MA with fresh homemade cookies, and other local homemade products from ice-cream to coffee. You can also place order for cookie if you are have in the area to visit The Cape Cod Cookie. Check it out, Eat the Cookies: The Cape Cookie Cookie. Cape Cod Cookie Facebook page here: Facebook page. Hannah Rockcliffe is a multi-talented musican, singer-songwriter on the internet. She make youtube videos of some amazingly beautiful music. She has a live steaming show at YouNow.com, search for Hannah-Rei. Her website has all of her music available for purchase, or you can get her new albums on iTunes. Check out her website: Hannah-Rei. She is a little bit Soul and a little bit R & B and all British! 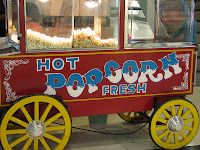 Finally, my wonderful husband David, he blogs about Public Domain Cartoons here: VCR from Heck or his videos on YouTube: DAScottJr or Funny or Die: DAScottJr. He has been more than supportive in my writing and blogging endevours. Thank you! I leave you with this.....Your Welcome!!! This week we return to a retrospective blog. I got thinking about old shows I watched as a kid. There were a slew of shows that I watched from various Canadian stations that we received-having lived in western New York (WNY), Chautauqua County to be exact-that I watched with a regularity. I want to take a look at some of these shows. Note: Not all of these are Canadian, but I did watch them on a Canadian station. First, anyone who is finally with Canadian stations, I will be focusing on TVOntario (TVO is a publicly funded station), CBC (a Canada crown corporation) and CTV, but I did watch CHCH (originally a CBC affiliate until it went independent) as well. CBC and TVOntario were/are the PBS equivalents in Canada. A good number shows came from these stations. Now as an avid watcher of PBS-shows on my local PBS station WNED, like Sesame Street, Mister Roger's Neghbourhood, Captain Kangaroo, and the like there will be some similarities. So, we will start with the biggest similarity, Mr. Dressup. Here is a clip from the show "Mister Dressup". Mr. Dressup, is Ernie Coombs a Canadian Children's show host. Ernie work along side Fred Rogers when they both started working with CBC in 1963. Actually Rogers brought Coombs on board to work at CBC. While there the two worked on creating Children's programming that treated children with a bit more respect and wasn't at the mercy of commercial programming. While at CBC Rogers was working on "Misterrogers" (what would later become "Mister Roger's Neighbourhood"); while at CBC, he and Coombs were involved in a show called "Butternut Square" (as similar to "Mr. Dressup") airing from 1963 to 1967. 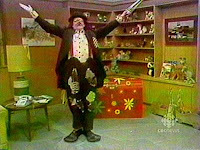 While on that show Coombs created the character Mr. Dressup. When Rogers left in 1966 after acquiring the right to his show and relocating baclk to Piuttsburgh, Coombs worked to create the show "Mister Dressup". "Mr. Dressup" has a lot of the same elements as "Mister Rogers Neighbourhood", such as puppets, crafts, and a setting of imagination. What I love about the show was two crucial items, first the 'Tickle Trunk' a large orange trunk that held costumes where Mr. Dressup would a costume to imagine stories and play games often with the puppets, Casey and Finnegan. Casey was a little boy/girl puppet with his/her puppet dog Finnegan, performed by Judith Lawrence until her retirement. Casey was ultimately made with no gender orientation, and to this day no one really knows, because Coombs, when asked if Casey was a boy or girl, he reply was, "what do you think?" and he would agree with whatever answer given was. There were a number of other puppets that appeared on the show throughout it's run, such as Alligator Al and Aunt Bird. Here's a surprise, after Lawrence retired, the crew brought in to perform the newer characters had a few well seasoned professionals including Cheryl Wagner, who worked on Fraggle Rock, Mrs. Pennypacker from "Today's Special", and was Miss Finch from "Follow that Bird" and and Nina Keogh who played Muffy Mouse on "Today's Special" and was a host on "Polka Dot Door". 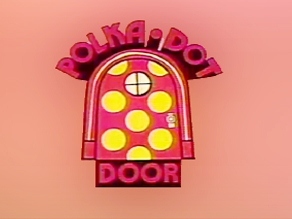 Next are "Today's Special" and "Polka Dot Door", these two shows appeared on TVOntario, both are educational shows that use songs, stories, and educational shorts to teach letters, numbers, phonetics, and concepts to younger children. I am lumping these together for a couple of reasons, one being that they ran at part of the same time and because some of the hosts from "Polka Dot Door" wenton to do "Today's Special". 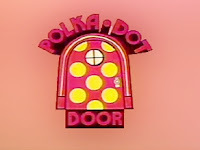 "Polka Dot Door" (aired from 1971 to 1993) was a cute little show about a playhouse with a GIANT polka dot door and the hosts that played with their stuffed animals and dolls-making them talking through the dolls, as a child might play with their own toys; there was Humpty and his brother Dumpty, Marigold the Doll, and Bear the Bear. Much of the show was the human hosts playing, singing, and doing crafts with the toys. There was the 'Storytime Mouse' who live in the giant Blue Grandfather Clock that introduced (non-speaking) story time and the infamous Polkaroo who would come and play with only ONE of the hosts. I was a pretty smart kid and after a while I figured out that the other host would slip away and turn into the Polkaroo, usually the male host. Before I figured out the secret I always thought the male host was an idiot for leaving right before the Polkaroo showed up. The Polkaroo only talked using it's name and gestures and they was always a song during the Polkaroo segments. See the intro here: Polka Dot Door. See a clip of Denis and Cindy talk about Dinosaurs It was a very informative show for kids! 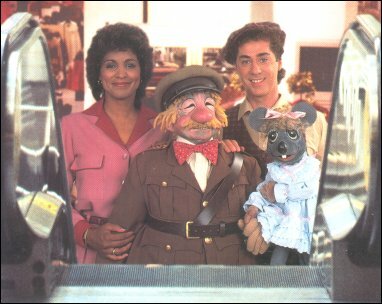 "Today's Special" (aired from 1981 to 1987) was set in a department store and about the after hours goings on of a magical mannequin, his friend and employee of the store, the old and slightly senile/goofy security guard, and a rhyming mouse. I remember falling in love with this show (it aired somewhere before or after "Polka Dot Door"). Jeff the Mannequin would come to life when he wore his magic plaid beret and someone said the magic words, "Hocus, Pocus, Alimogocus". There was a central story plot for each episode and little animated and non-animated segments teaches phonetics and letters and plenty of songs. Jeff Hyslop who played Jeff the Mannequin also ended up playing the Phantom in a Toronto production of "Phantom of the Opera" at the Pantages Theatre (that was the first time I saw the Phantom on stage). 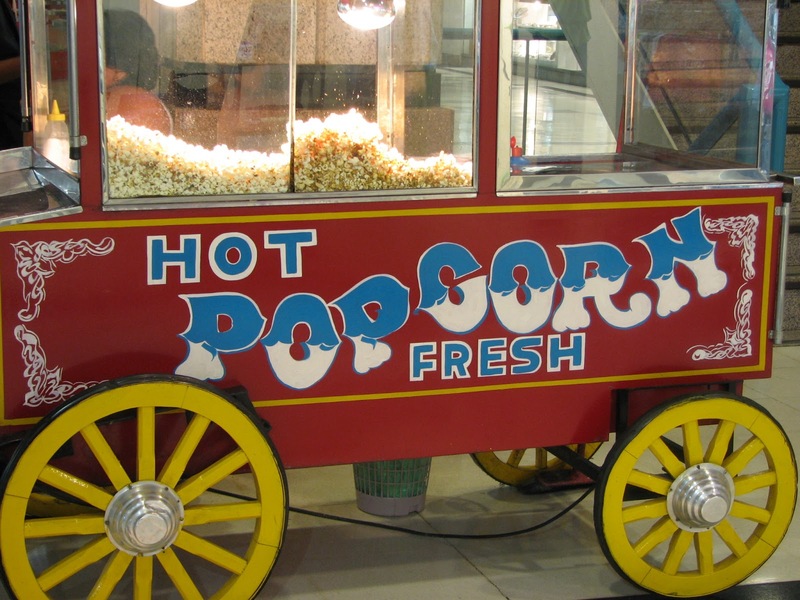 Jodie the store employee was played by Nerene Virgin who also starred on "Polka Dot Door". It was a silly and funny show and in a lot of way remains me of Sesame Street. 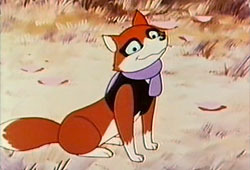 "Fables on the Green Forest" (aired in Japan on Fuji TV in 1973) a series created in Japan and based on a series of books written by Thornton W. Burgess in the 1910's and 20's. He wrote a great many children's books from 1910 to 1965 which were inspired by his love of nature and his conversation efforts. "Fables" is based on a number of these stories with a central cast of characters and their adventures in the Green Forest. 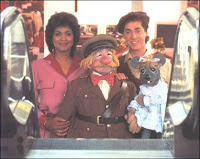 This show was broadcast in a number of countries from Spain, Romania, Venezuela, and Canada on TVOntario. 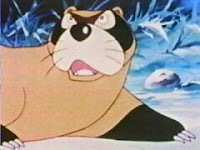 Being and animal lover I couldn't help but watch this cartoon. The plots center around the adventures of Rocky and Polly Woodchuck, Peter Rabbit, Reddy Fox (usually the bad guy), Chipper the Squirrel, to name a few. This show is one of those shows that did not stand the test of time. After watching a few episodes that are floating around youtube, I realized that they are very cheesy, but yet I can't hate them entirely. "The Littlest Hobo" is a Canadian produced television show based on the American movie of the same name. 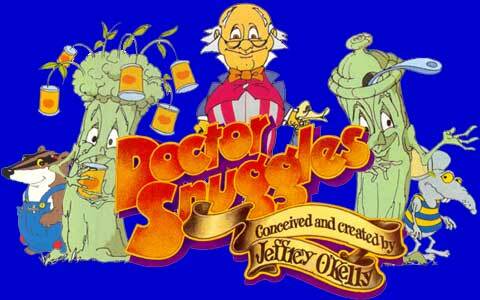 It had two incarnations, one from 1963 to 1965 and the other from 1979 to 1985, both lasting 6 seasons. 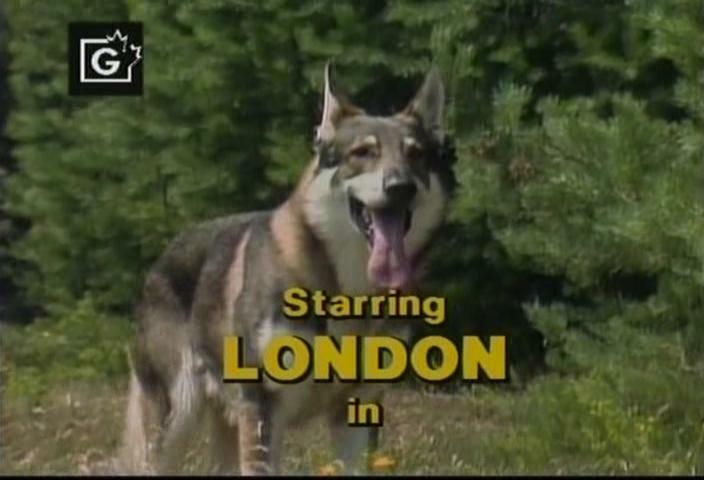 It was the story of the Littlest Hobo, or whatever name his was called during any particular episode (London was his real name). 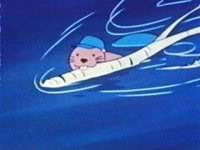 He would travel around helped those who need help and making friends. He never next stayed with those he helped for long, he was the ever wandering traveler it seemed. This is another show that I would get super excited about when it came on TV. I loved to see what adventures Hobo/London got into. Many of the episodes features other famous celebrities from Alan Hale (Gilligan's Island), Abe Vigoda, DeForest Kelly (Star Trek), and a young Mike Myers. The last for today is a rare gem that I only RECENTLY recovered form my memory banks, "The Secret City". 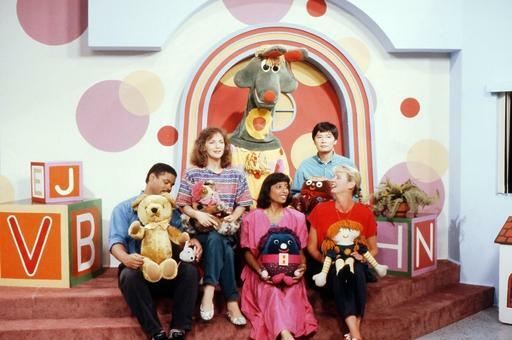 It aired in the 1980's at first on a Maryland public television station and later aired on PBS and TVOntario. Not sure where I first saw this show about drawing, but he has stuck with me all these years. The host was Mark Kistler, a cartoonist who taught kids how to draw in 3-D. There were guest teachers, but mostly Captain Mark (as he was called on the show) explained what foreshortening was to children with fellow chracters and puppets. I still remember what it means; Foreshortening is a technique used in perspective to create the illusion of an object receding strongly into the distance or background (from the bout.com art glossary definition). I found a complete episode of "The Secret City" here. Thanks to Wikipedia, IMDB, Doctor Snuggles Webpage, youtube, and Google Image search for the information and pictures used in this blog. Top 5 Classic Pieces of Literature to read (in my opinion)! Been having a dry week with my writing. Mostly getting into the groove with The Lake Country Player's Junior Players production of "Tom Sawyer" going up July 12th - 14th. I'm stage managing, something that I am very familiar with and really love doing. I really hit my stride at tonight's rehearsal. I am working strictly with children for this show, but there is something that is truly awesome watching children act. These kids are learning lines in the 1850's southern dialect, I am very impressed. These are kids so sometimes the outdoor voice has to come out, I have to use the outdoor voice with adults that I stage manage too. I am also watching Mary (the director) and her daughter Maggie (junior director) grow in their roles, also a pleasure watching. I really do LOVE bolstering other talents, it's why I do theatre, not just being on stage myself. Although I love to do that too! Recently auditioned for a production of "Best Little Whorehouse in Texas," just waiting to hear back on the results of that audition. One of the more difficult epic poems to read, but it is very much worth it! If you get a chance to read the Divine Comedy, then do so. I favourite is "Purgatorio"! But there are 3 parts in all: "Inferno", "Purgatorio", and "Paradiso". After all I am an English major. I even took a course in Early Shakespeare. 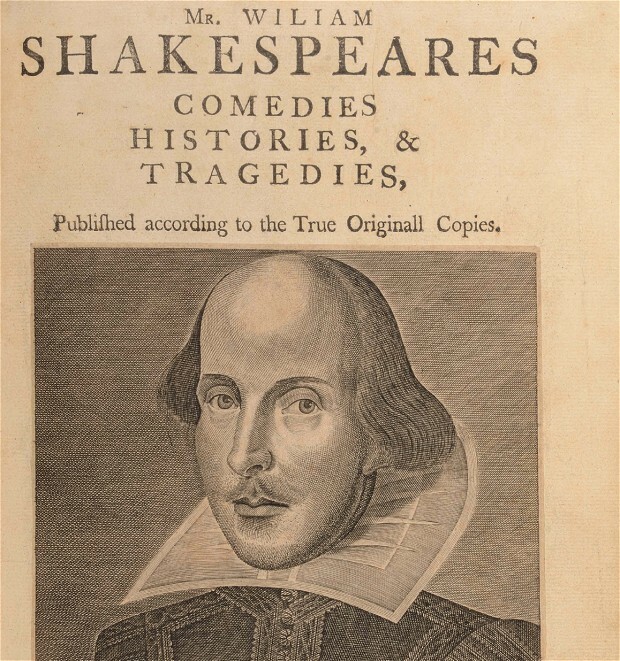 I am a poet at heart and the bard of Stratford-upon-Avon had quite the way with the words. I even taught myself to write in iambic pentameter. 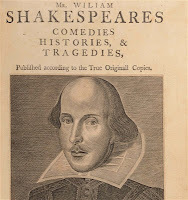 My favourite works or "A Midsummer Night's Dream", "MacBeth", "Much Ado About Nothing", and of course the Sonnets. The very first novel I ever read, all by myself. I was a horse lover, still am, but I was enamoured with horses. I wanted a pony, have horse posters everywhere, and drew horse in my notebooks AT THE FRIGGIN' TIME. 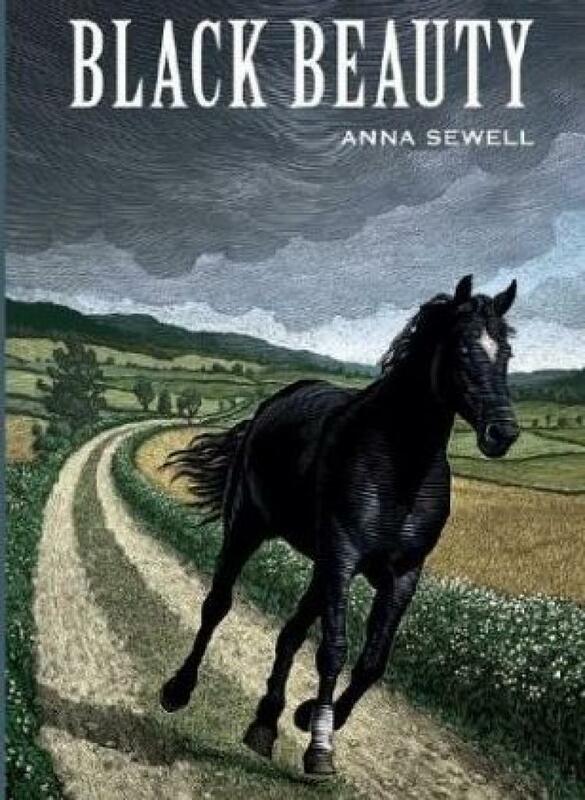 I love this touching, albeit sad story about Black Beauty's travels and trials, written from the horses perspective, probably one of the first story really taken from the animal's view. This is probably cheating, but Poe has a HUGE body of work, and I cannot choose just one. Poe had such a fascinating, if disturbing life and his work shows it. I remember reading "The Raven" in high school and then spending time trying to memorize the poem after school, not even sure. There is something about his use of alteration and rhyme in his poetry. 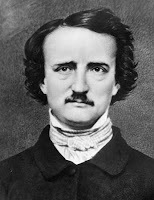 Favourite works include "The Raven", "Annabel Lee", "The Cask of Amontillado", and "The Tell Tale Heart". The poet in me doesn't quit, I love these epic poems. To be able to tell a short in less words than a standard novel, that amazes me. The story of Odysseus is a story that I can even relate to. Life is a journey, and sometimes you get sidetracked by winds, witches, and monsters, but in the end you will find your way home. To be fair, I haven't read this is a REALLY long time! What I remember was really amazing. I plan on revisiting it is the near future. It did leave a really good impression with me. For a difficult subject, Harper Lee wrote an amazing story. evening, and nothing was accomplished? Well, this weekend has been a tad hot and I can speak from experience that when hot happens, you don't. I am trying to NOT waste my time, but sometimes a lazy Saturday is what you get. Sometimes you get a desert with tumbleweeds blowing across the western town of Gimbly Gulch where there is one Sheriff for the 5 people of Gimbly Gulch and the only person in jail is the town drunk, or that's and episode of "The Andy Griffiths Show". Anyway, I have a number of projects that I am working on, and with this heat (it's only June 2nd right now) I can't seem to get motivated. I could be too motivated. I am feeling like I am like my one characters in the novel I wrote, Cindra, and actress that is having trouble keeping motivated. Wanna see a snippet? I hope to get this revised enough to be able to get it published someday. It's a neat little story (a novel) about memories. 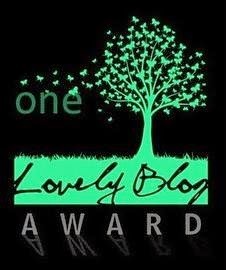 I wrote it for NaNoWriMo 2011. I wasn't sure what the story was going to end up being about, but I really have a blast writing it, non-stop for a month. I missed last year because of a little show I directed last fall. I hope to write this year. “Listen to me Cindra, you have to follow the directions as the director gives them,” an angry pudgy man yelled at her. His beady grey eyes staring at her, “It’s just that simple. Corwyn Michaels does not wait. You do realize that you could be pulled from this project!” The pudgy man was being serious, but still the spittle was foaming on his lips. We need to film this scene today if we want to be on schedule.” Cindra was staring at the pudgy man with quite the look of confusion on her face. “I’m sorry,” Cindra said, rather absent-minded, “I didn’t realize we were behind.” She turned away from the pudgy man, “I just got caught up in the scene. I guess it reminded me of something and I over reacted it,” she paused, thinking. The man was now getting a bit concerned, as Cindra was clearly not focused on the conversation anymore. He shook her shoulder and she blinked at turned to the pudgy man, “Sorry, Bernie. I will be right there,” she said as she turned to the mirror as she fixed a loose strand of hair. “Okay, Bernie.” Cindra took a few minutes to glance again in the mirror, staring at her reflection very intently. Then she left the dressing room still thinking about something. She thought that was a lucky break that nothing had caused her to lose her job on this picture. There are plenty of replacements out there; she wasn’t anyone special, “Maybe Next Year”, was her first lead. She must remember not to be dramatic, unless the movie called for it. There was something about this scene that felt too familiar to her. Not that she could place it, but there was something very real, that tugged on her heart strings. For those of you who don't know what NaNoWriMo is, it is National Novel Writing Month. 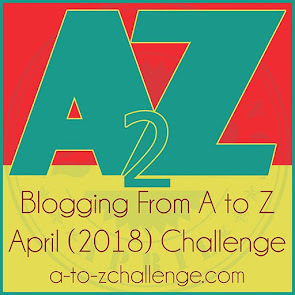 In November writers come together and spent the entire month writing a novel (50,000 words in 30 days) and recording how many words they write (to track their progress). I should write about 1300 a day to reach the 50,000 goal in 30 days. It's quite the challenge, but there is something that is releasing about just writing, with no inhibitions. I was amazed by how well the plot and how the character development occurred. I have been told that when you write, just simply write with no preconceived notions about anything, it can be really liberating. 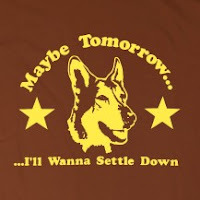 It REALLY was! I kind of have the same philosophy about writing in general now. In just write and the rest just comes out. 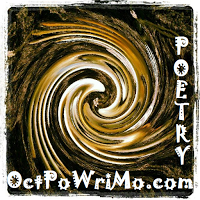 If I truly need a helping hand, I use Toasted Cheese Literary Journal for writing prompts and advise (they even have contests). I know I have a few more months to wait for NaNoWriMo, but sometimes I gotta remind myself that these things are coming up. After all the summer, for me at least, gets busy pretty fast. I am stage managing a children's production of Tom Sawyer, performing Improv in Montour Falls, NY all summer, auditioning for "The Best Little Whorehouse in Texas" in Elmira, NY next week, and then there's all of the things I want to do over the summer (Renaissance Festival, Avon Flea Market, going to Rochester to visit people, maybe making it out to Hynnais, MA to visit friends (just to name a few). I don't sit still often! But when I do, it's on a hot muggy day...hehehe. Okay, all this aside I have a pretty full looking summer. 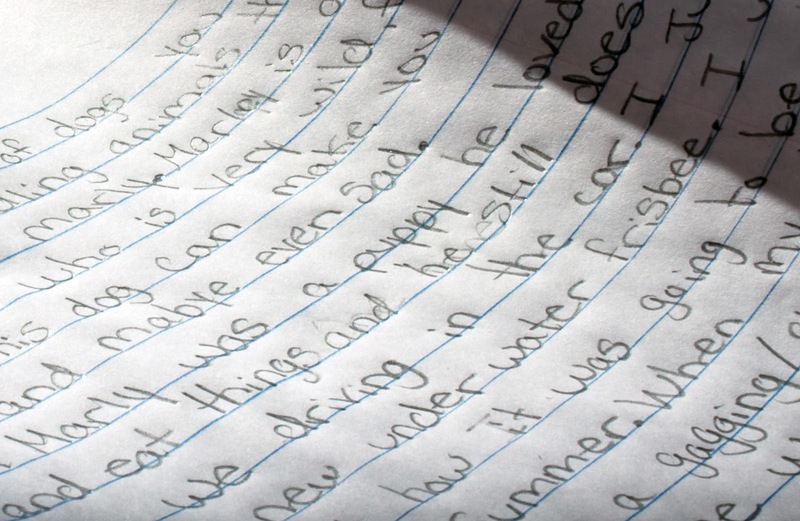 Writing is still in the forefront. I just need my muse to wake up and have some coffee. And here's a little poem about lazy muses. 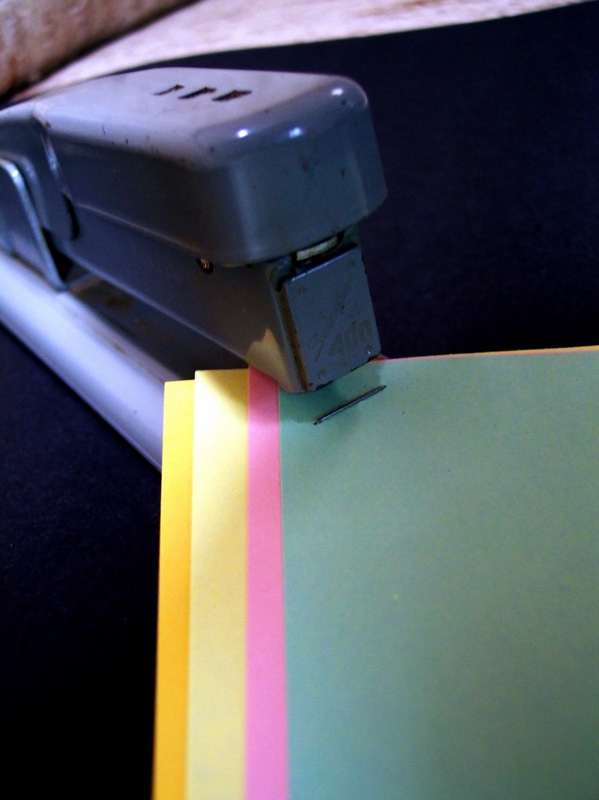 And clicking my stapler in time to the music. Pictures used came from Morgue File.